PASSPORT WINE TOUR – B.Y.O.G. (Bring Your Own Glass)! are $25.00 and entitle holders to a label collection Passport, complimentary wine tastings and samples of local cuisine at each winery. Over the next couple of weeks, we will highlight what each individual winery has in store for Passport Weekend. 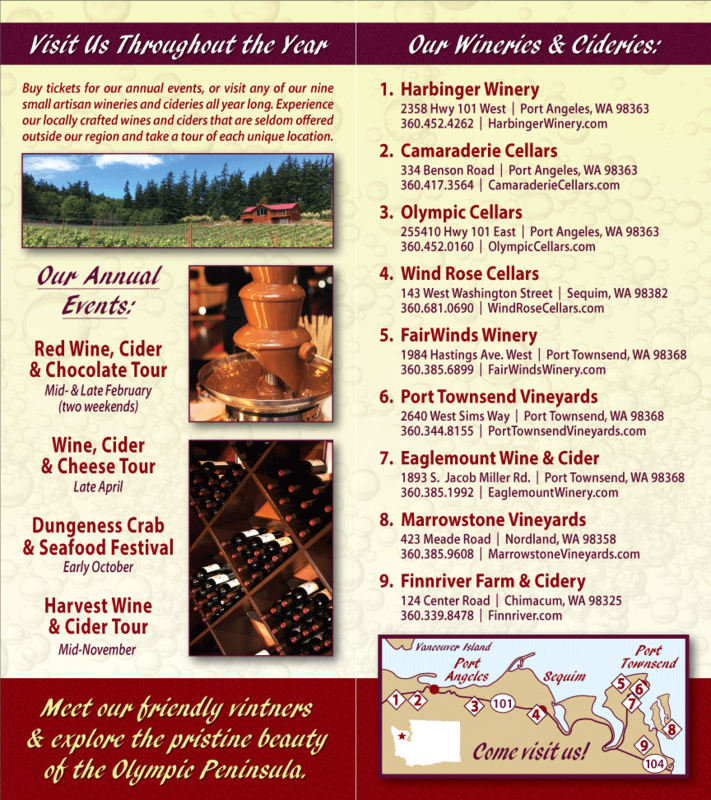 Today’s post features Port Angeles’ Olympic Cellars Winery. Clam Chowder (Grandfather Bishop’s family clam chowder recipe made with Little Skookum Shellfish Growers’ sustainably farmed Manila clams www.skookumshellfish.com/recipes) will be available on Sunday, November 15. Bell Street Bakery breads made with local, organic grain will be served with spreads made from humus and local organic root vegetables all weekend. Additional wine specials will be featured to compliment the holiday table, parties and of course to give as gifts.